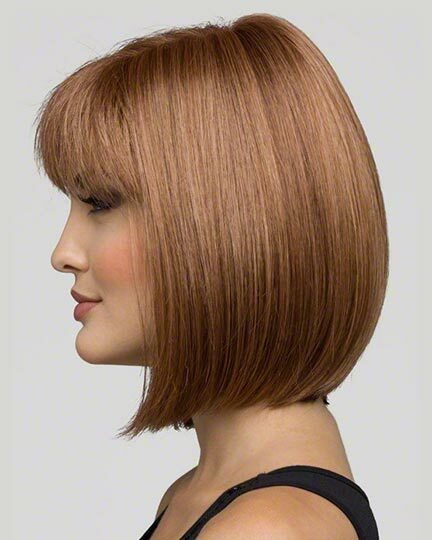 Front: 4.0", Crown: 11.0", Side: 6.5", Nape: 4.0"
Carley by Envy wigs is a chic cutting edge style with these face framing fringe that are razored at the edges to create a soft, smooth appearance. 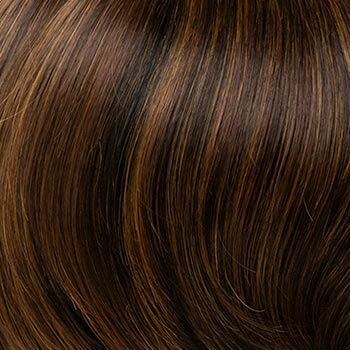 The Envy Carley wigs feature a 100% hand-tied mono top which creates the illusion of natural hair growth at the part line. Wispy bits of fringe framing Carley's hairline allow you to comb your hair toward or away from your face while keeping a realistic silhouette. Of course, Envy always has your comfort in mind. The ultra-lightweight Carley style has sides and back for the most comfortable fit possible while allowing a breathable, yet capless feel to each style. The second color way shown of Carley is Lighter Brown. 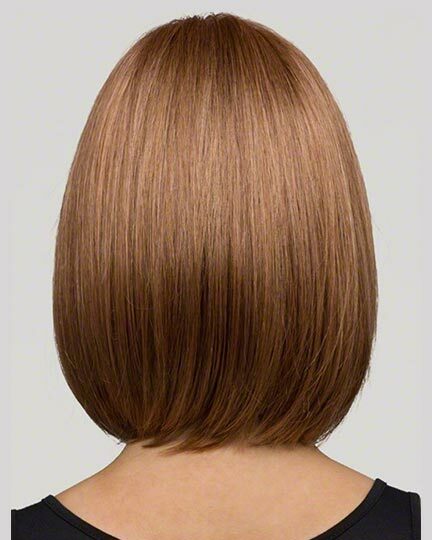 The Carley wig weighs 99 grams. There are 25 colors available for Carley. To Buy Carley, Click On A Small Swatch Below. If you would like to discover other products that share some of Carley's qualities try the links below. Wonderful service and excellent product. I have been a customer for years and am very, very satisfied! 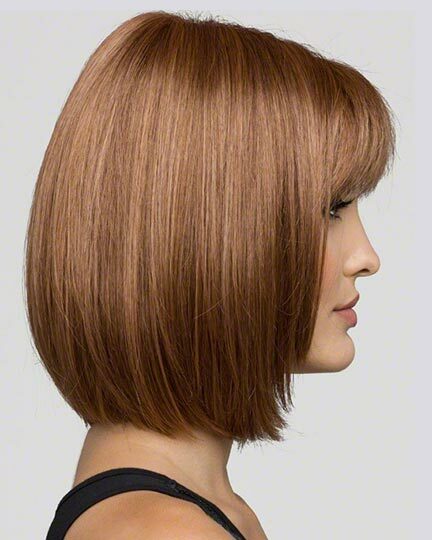 Really like this wig...like the cut and the color. I'm more and more impressed with Envy wigs! 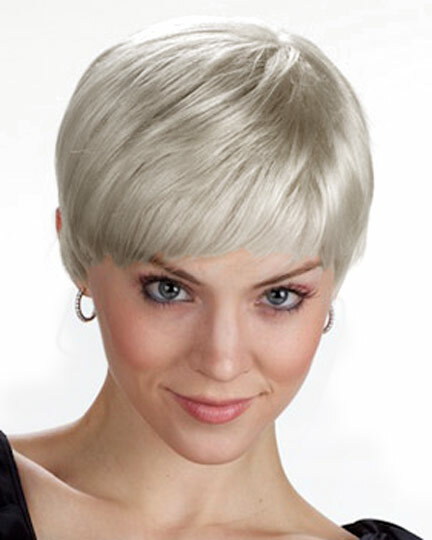 Hard to find good wigs in grey with the Bob style I like. I am very satisfied with this one. It looks great right out of the box. The fit is perfect. I love the mono top. It is very natural looking.